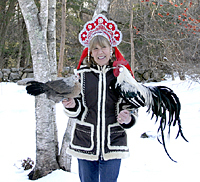 While reading the current issue of Country Woman Magazine recently, I was introduced to Jan Brett, an award-winning author/illustrator who also happens to breed award-winning chickens. 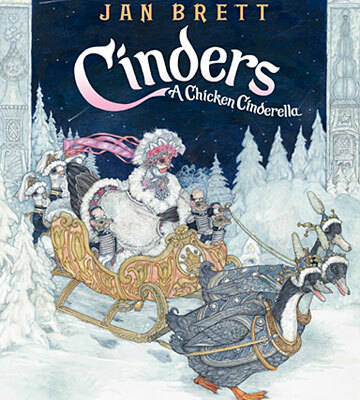 Jan is renowned all over the country for her beautiful illustrations in children’s books –and when I saw the cover of her newest tale, Cinders: A Chicken Cinderella, I just had to tell my Children’s Retail Today peeps about it -and about Jan, too. Cinders is Jan’s take on the classic fairy tale, complete with a little hen who’s transformed into a beautiful and mysterious guest at a ball during one magical night. Her fanciful illustrations capture the grandeur and glamour of eighteenth-century Russia, where Jan traveled herself. Together with her funny flock of chicken characters, this Cinderella story is whimsical and original. A feast for the eyes, one might say! Charmed by Chickens. The Massachusetts-based author is currently touring the United States for her new book, visiting towns in New York, Ohio, Indiana, Iowa, Minnesota, South Dakota, Texas, Oklahoma, Missouri, Kansas, Alabama, Georgia, Maryland, Pennsylvania, Virginia, North Carolina, New Jersey and New Hampshire (phew!) –visiting book stores, schools and libraries, giving book talks and illustration demonstrations at each signing. It’s something Jan does every fall, to meet her book-reading fans in person. 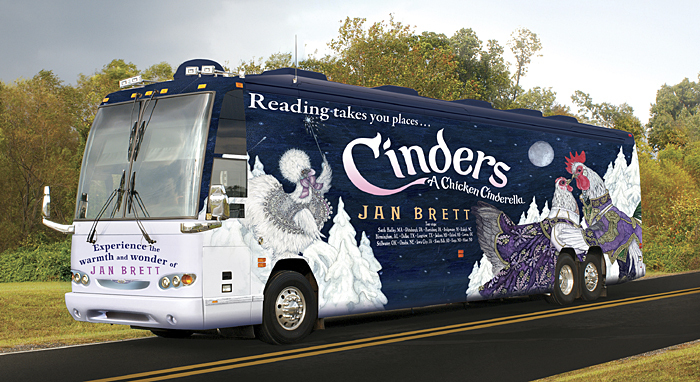 If you’re lucky enough to live in a town she’s visiting, sign your kids up for Jan’s “Lunch on the Bus” contest, where your child and three friends have the chance to win lunch with Jan on her tricked out traveling machine. Visit JanBrett.com for more. While you’re checking out her online footprint, learn more about Jan’s stories that have been incorporated into school curricula across the country and download free educational activities for teachers to use with their students.